Sometimes I review books because I love the genre, other times, because I know something about the author. Other times, something in the book description catches my eye and makes me think "I want to know more." Such is the case of this book, Wounded Warrior, Wounded Home: Hope and Healing for Families Living with PTSD and TBI by Marshele Carter Waddell, Kelly K. Orr PhD, ABPP. This book, is designed to to provide help and hope for everyone impacted by a service member's return from combat deployment. it's also written to help those combat veterans who return with post-traumatic stress disorder (PTSD) and/or traumatic brain injury (TBI). As Waddell explains in the book, every family member experiences the effects-confusion, hurt, anger, guilt, fatigue, and fear when the veteran returns home from conflict. I could spend lots of time telling you my opinion of the book - which is solid and worthy of my being part of my "referral" library. I could also tell you how I found portions of this book can (and do) apply to people going through any major stress/incident, regardless of military service. But instead of taking my word, I'd rather you take the word of a college friend, who had the opportunity to read it alongside me. As I read his "review" of the book, I was truly blown away. Frankly, it left me speechless. 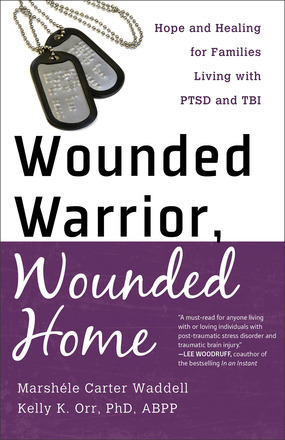 I recently read the amazing book called Wounded Warrior, Wounded Home. This book had a huge impact on my life. I’ll get to that in a minute. I truly believe that this book should be given to military members who have made a decision to seek help for PTSD. I received a unique perspective on the other side of this sensitive issue. I know my wife and kids had rough moments but I never realized all the issues that they had to deal with because of me. There were a couple of pages that hit me hard. On page 79 it talks about how we need to forgive ourselves. I have had a hard time doing that. I was medically evacuated from Iraq when I was in charge of a Company of 300 soldiers. I never wanted to leave them and to this day I still feel bad about that. The other section that really had an impact on me was, Mile Marker 8 on page 92. At the end of February 2013, just last week as I am writing this, I was carried out of my house on a stretcher. I had another migraine which led to complications. I was incoherent. My priest apparently was here and gave me last rites. I had flashbacks from an ambush in Iraq. My wife told me a couple days later that I was mumbling “Shoot, fire, stop and Ambush” She said at one point she touched me and I was startled and stared at her with a vacant look. I didn’t recognize my wife of 20 years. She said it scared her. That scared me. That day this book arrived. I began reading it and before I knew it before I was halfway done. The next day I went and spoke to a chaplain. He immediately left his office and went to the Mental Health clinic on base and was able to get me an appointment. This book made me realize that I needed to get help. I needed to fix me and stop fixing others. Stop trying to get back to my soldiers who I left so long ago by having every minute of my day at work or volunteering somewhere. I was not diagnosed with PTSD, but an anxiety disorder associated with PTSD. I am lucky. If what I am experiencing from my ambush in Iraq isn’t enough to be called PTSD then I am extremely sorry and praying for those that do have it. Thank you for this book. My wife will be reading it next. Then we will donate it to our Chaplain. Marshele Carter Waddell served with her husband, CDR (ret) Mark Waddell, a career Navy SEAL, for 25 years around the world. Together with their three children, the Waddells have endured many lengthy separations and frequent deployments for combat duty, special operations training and real world conflicts. Today, her husband is a disabled combat veteran with PTSD and multiple TBIs. Her son is currently serving in Afghanistan. Waddell is the founder of Hope for the Home Front and a frequent media guest on military issues. She has been featured in Time magazine, the BBC, the LA Times, the Washington Post, Fox News, the Armed Forces Radio Network and Focus on the Family's radio broadcast. When Marshele’s husband retired, they moved to Colorado Springs where she began seeing Kelly Orr, a clinical psychologist and Vietnam veteran, as her therapist. 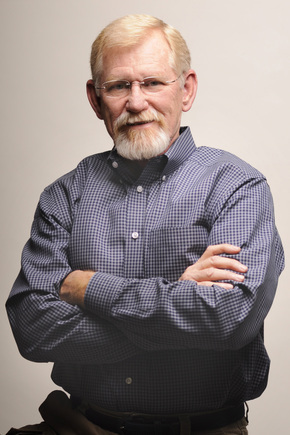 Kelly has his Ph.D. from Biola University and completed a fellowship in Clinical Health Psychology in 1993. Kelly K. Orr, PhD, ABPP, has more than 30 years experience in behavioral medicine and pain management. He serves on the advisory council and speaking team of Hope for the Home Front. Dr. Orr completed his PhD in Clinical Psychology at Biola University, Rosemead School of Psychology in 1978. He reentered military service with the Air Force in 1987 and retired in 2004 with a combined USMC and Air Force career of 25 years. He now makes his home in Colorado Springs with his wife Kathy, enjoying the mountains, hiking, fishing, and spending time with his eight grandchildren.